The Desert R.A.T.S. 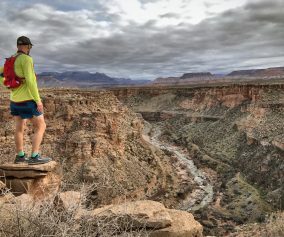 Trail Festival 50-Miler had me intrigued and excited. I had never been to Fruita, Colorado and I had heard so many great stories of beautiful trails and daunting canyons. 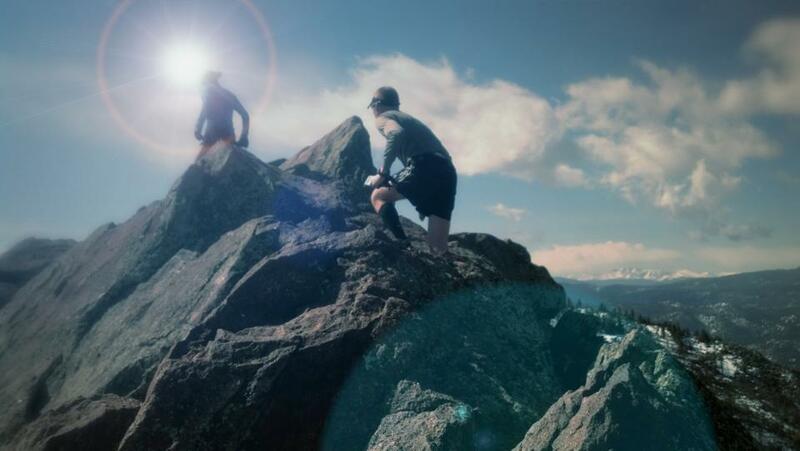 So with adventure in our hearts my crew (wife) and I packed up the car with the cooler, 80’s hair metal CD’s, enough running clothes to open a small running store, 4 pairs of trail shoes and hit the road. 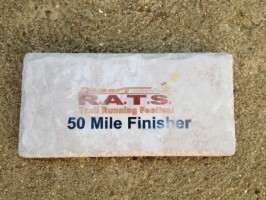 The 50-mile race was $70 and that works well within my budget for a day of racing and support. Heck, I’ve had bar tabs twice that size. The R.A.T.S. crew operates a series of events so I figured it was a good bet the event would be well organized. The packet pick-up was quick and simple and I was in and out in a flash. Most exciting was the cloth race number. Paper numbers are cumbersome and I don’t always like them pinned to my shorts (it’s the swishing sound that bugs me). I did not attend the pasta dinner but hit the Hot Tomato for a veggie pizza with 3 other racers. Fruita is a wonderful town with a great vibe. I could easily find myself back here for biking or running. I’m pretty lenient on goodie bags and was not surprised to find one gel, an empty plastic salt tab tube and multiple race advertisements. For me the real value is in the aid stations on the course and not what can be packed into a plastic bag best saved for dirty race clothes. The parking was well organized with the cars lined up on the side of the dirt road near the start/finish area. It just doesn’t get much easier than this for racing. I was in a great mood as everything was falling into place. Even with the cool morning temps in the dark I made the decision to go sleeveless from the start. I fought off the chill with my trusty $1 Target gloves (a must have for every runner). In my hand was my Ultimate Direction water bottle filled with my custom Infinit “Shamrock Shake” mix. I was trying out some new Recofit compression calf sleeves in white to battle heat that was due to arrive around noon. I felt ready. The race started on time and we were off! We were mixed in with the 25-milers but that was just fine. At the turn around they would finish their journey with a great day of running and many stories to tell. For the 52 or so 50-mile runners (out of 74 registered) we would head back out to play among the lizards and heat that started baking the wide open trail. It was going to be a hot one. With the large group heading out I was busy politely working my way through the pack. The surrounding area was so amazing it took everything I had to not just stop and soak it all in. As varying paces settled into groups I even chatted a bit with other runners. I was in a great mood. I was calling out people by their recognizable features and making up cheers. “Pink shorts is in the house put your hands up! Blue Leadville tank is in the house put your hands up! Guy with 12 water bottles on his belt is in the house can I get a hell yeah?” We all laughed and life was good. 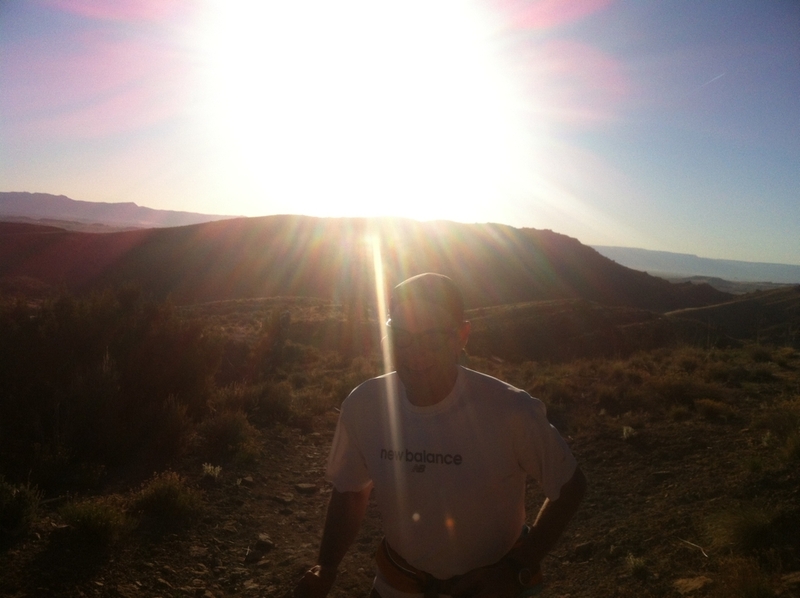 The wide-open trails snaked around Fruita and the climbing sun took away the shaded shelter of the mountain walls. By mile 17 I was alone and enjoying some “me” time. I was so enamored with the views that I tripped and hit the ground hard. A little blood dripped from my hand and my knee got scraped up. It was ok, and a good way to wake up and focus. I had already seen two others take a dirt nap so I told myself to pay attention a little more moving forward. "Me" time at mile 17. 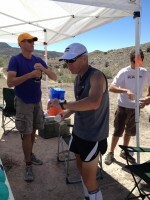 I was keeping up on my fluids and noticed with the temps I was hitting the aid stations at just the right time. I had made plans with my crew to pick up a second bottle to carry at the turn around. I knew with the heat coming I would need to double up the water/drink mix. I looked at my wife and said, “It’s all going by the script.” At the turn around I noticed that it wasn’t 25 miles…it was just a tick under 26 miles. Cool I thought-52 miles of racing couldn’t hurt…could it? What’s the difference? The difference would come into play later. The climb back out of the turn around wasn’t too bad and I kept chanting to myself to go easy on the ups, carry the downs and gently work the flats/rollers. It was going to get hot and those who were speeding along would soon pay the cost. I hit the first aid stating on lap two in need of water even with carrying two bottles! The heat was rising and I told myself to keep hydrated before I shriveled up. That was my plan. Just keep drinking. One sip water, one sip Infinit…repeat. I ate a Honey Stinger Waffle for good measure and was starting to feel the distance and heat settling in on my body. I started to get concerned about the aid stations being 6-7 miles apart. On a good day I could probably hit them in an hour or so. Not a real concern especially now with two bottles. B ut as the sun cooked me I was going through both bottles in 40 minutes and it was taking me 70+ minutes to work the undulating terrain to the next station. I wasn’t panicking but I was concerned. Around mile 40 the wheels started coming off the wagon. I was dropping 12:00 miles and the occasional 14:30 and the gap to the next aid station was getting bigger and bigger. In this heat I think an adjustment should have been made to get more water out to the runners. I realize this is easier said than done but anything would have been a gift for most of the runners our there. As the heat poured down I was soon asking passing bikers for any water they could spare. I hit the last aid station after what seemed to be a lifetime. Another runner came up on me and wasn’t too happy about the distance between the stops. 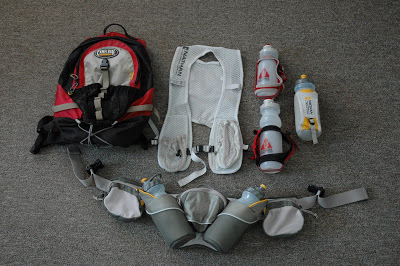 Note to Nathan and CamelBak: if you want to sell hydration vests you might want to put a stand up at mile 40. I would have given one of my toes for a full pack of ice water. A small group grinds away. Mile 50 was an 18:16 adventure full of cursing, diarrhea, thwarted vomiting and zombie-like running. If I ran, my back would start to seize up so I was forced to walk just about all but the easiest terrain. At one point I started to wonder if I got any worse should collapse in the shade or fall in the middle of the trail so I could be found? Runners should not have to think like this in a race. This was my 4th 50 in the last 8-months and it was going to be a tough one to finish. At the top of the last climb I could not find the orange tape! I saw one piece on a rock but not the next piece and there was not a clear route. 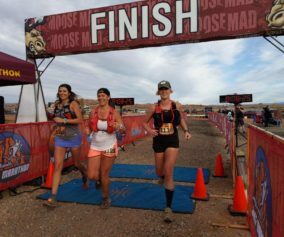 When a race is this long and this hot it is a good idea to make the course super-easy to navigate for the tired runners. 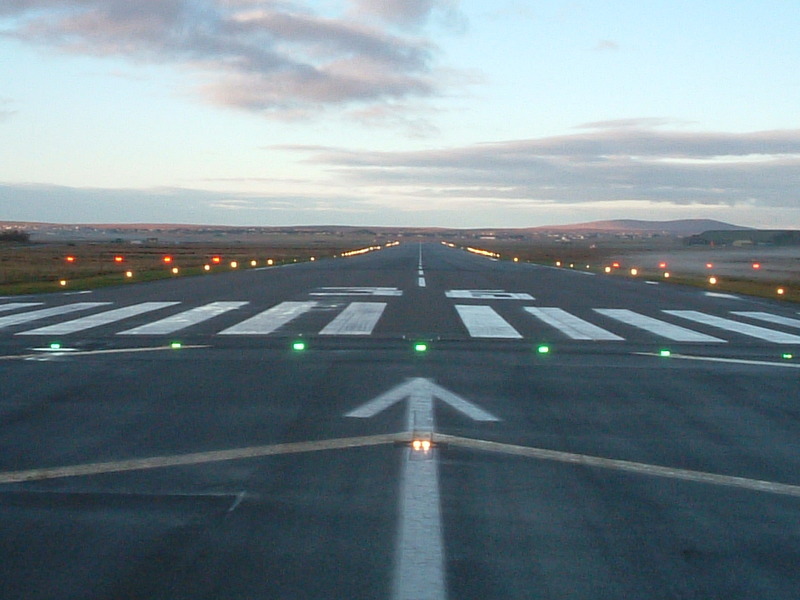 I don’t want to focus on looking for a piece of tape the size of a rock when I need to watch where my feet are landing. I heard other reports of runners going off course and having to turn around or stop to see where the next piece of tape was stationed. Three hours later a friend of mine would be on top of the same climb throwing up for the 9th time and needing help to get down the mountain. There were many others in the same boat. Dehydrated and begging passing mountain bikers for water and gels. I managed to ramble down to a camping area and begged for water and Coke. I was given water by a friendly camper and a woman offered to walk me to the finish line. I must have looked like hell. I took the water and declined the generous offer from the woman. I finally could see the flags of the finish. My wife came out to meet me with a half mile to go. She started to walk the course backwards knowing something was up by my extended projected finishing time. I felt bad she had to see me this way. I was barely moving, my back was locking up and I could not hide the grunts of pain from her. I saved just enough energy to pick it up one last time for the finish. I felt I owed it to the wonderful people blowing horns and cheering. The finish line! AMEN! I leaned over and put my hands on my knees as I always do to take a moment to reflect on the journey. Usually during this time a ribbon is placed on my neck and a medal hags in sight for a job well done. There was no weight added to my neck and after a quick regrouping I headed to the medical tent to get checked out. This would be the first time in years of racing I thought this to be necessary. I checked out ok and when my blood pressure went back up and my heart rate went back down I was cleared to get up and move around. After much water and Gatorade I grabbed a beer and stood at the finish line waiting for my friend. I stood there for two hours until he pulled the plug on his day and had to get into a car 1.3 miles from the finish. He was unable to move his legs or stop vomiting. Even with double bottles he could not keep up with hydration. I have mixed emotions about the Desert R.A.T.S. 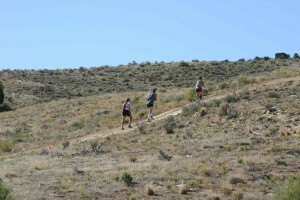 Trail Festival 50-Miler. I am always grateful for a race promoter who puts together a day or weekend of racing. Without them we wouldn’t have these trail adventures and great stories to tell. I’m also thankful for the great volunteers involved in staging an event and remember to thank them all…even when I am dizzy and wondering if I will be peeing blood soon. On this day I was frustrated by a collection of little things that stopped this from being a great event. 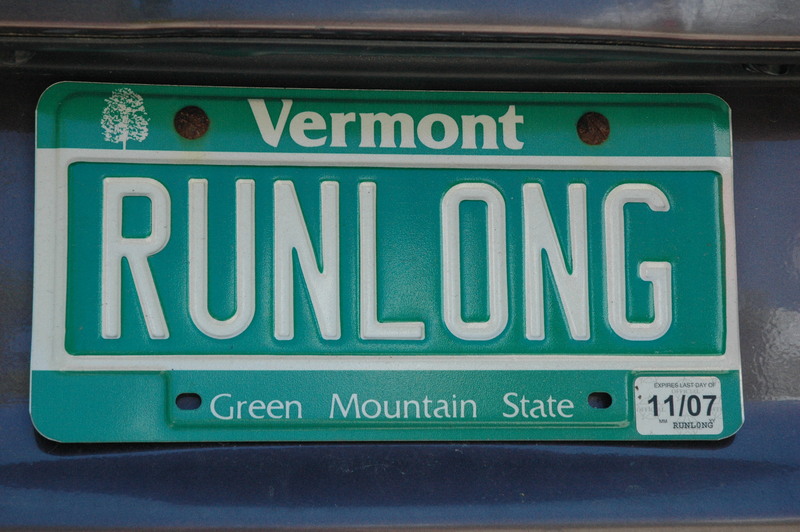 If you run 50 miles you deserve a finishing medal or memento: a beer glass (Run Rabbit Run) or a dog tag (Jay Peak Vermont 50k) or a medal (every other race from 26.2 to 50 I’ve done in the last 10 years). No, I don’t enter a race for a medal. I run the race for the challenge but the medal stays with me as a reminder of a great event that I will tell people about on future runs. It’s also a little motivation to get to the line knowing that not every one will get one. I did ask a volunteer about a finishing medal and was told that they probably don’t give them out due to the cost. It would have made a nice photo for this report-darn! UPDATE: There were finishing mementos but some volunteers were not informed that they were to be handed out. Below is the beauty I picked up after I emailed the race director about what seemed to be an odd omission from such a long day on my feet. I was a spectator at the half marathon the next morning and watched the dismay of a friend who finished in the top ten only to find out he was 7th in his age group. The age group he was in was 0-34…really? I’ve never seen an age group that large. I guess those medals are pretty damn expensive. Course marking tape is pretty cheap. It just makes sense to me to have the course well marked. Heck, I think Rocky Raccoon offered a refund if you found a way to get lost. It can be done. WATER, WATER and more WATER! Everyone knew it was going to be hot. I think extra water stations should have been provided. 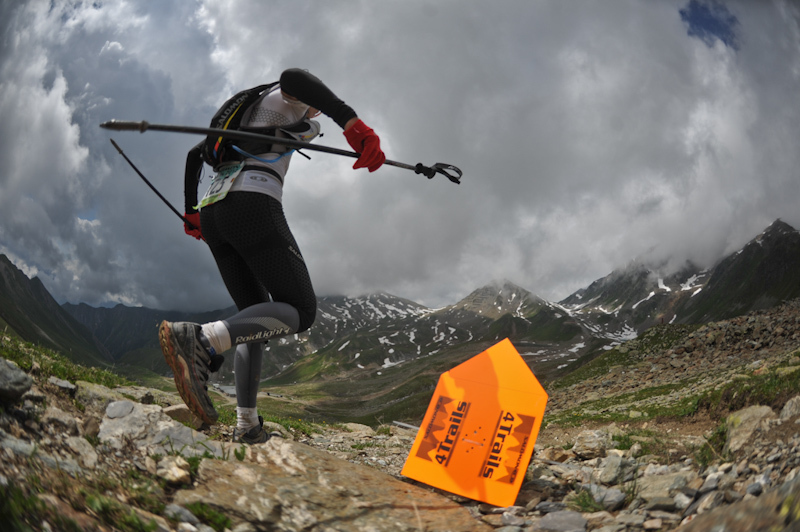 The remote locations and roads may have made adding aid stations impossible. I think most of the later finishers would have gladly taken on fluids if there were a station even a mile from the finish. In hindsight I should have carried a hydration pack. Now I know. Am I happy to have another 50 under my belt? Sure. What disappoints me is that the day could have been better for a lot of runners with some minor adjustments. It is worth noting that I am not a race promoter and don’t know what decisions are made and why. Deep down I would like to see some changes made for next year’s race so more people finish and there are more smiles at the finish line. Course: 51.77 Miles with 7072 ft. of ascent with a Max Elevation of 5,388 ft. This was indeed a tough race, especially for my first 50. I fueled up at the turn around for about 20 minutes in preparation for the heat and slogging on the second half. I think that last climb from the 45 mile aid station was almost demoralizing. I had been hydrating throughout the day and eating solid foods, but I still felt like I was going to throw up. I passed a guy on the uphill who wasn’t wearing a shirt and had retreated into the shade of a tree off the side of the trail – he was horribly sun-burned. I tried to offer him some salt tablets (Hammer Enduralytes) and some of my water, but he refused. So I told some bikers up ahead to check on him. The terrain was a lot more technical and unforgiving than I had anticipated. My knees and IT bands were practically blown by mile 40, and that was coupled with horrible hot spots during the 7 mile stretch from mile 32 to 39 (thank goodness for Vasoline) – gators are always a good idea. It was a well-put together race and the aid station volunteers were wonderful (perhaps why I spent so long at each one). Still, the heat and the terrain made it one hell of a race, with a very high attrition rate. 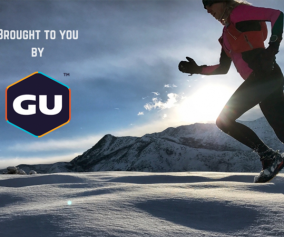 Thanks for posting a great race report. 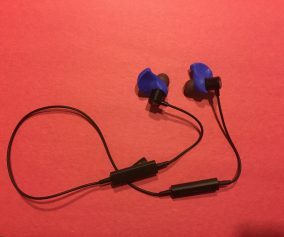 Erik – Thanks for the post. That’s an amazing time for your first 50 (I checked results). Way to go! I agree the volunteers were great-I just wish they had a couple more water stops. There’s a lot of DNF’s on that list and that isn’t good for a race’s reputation. 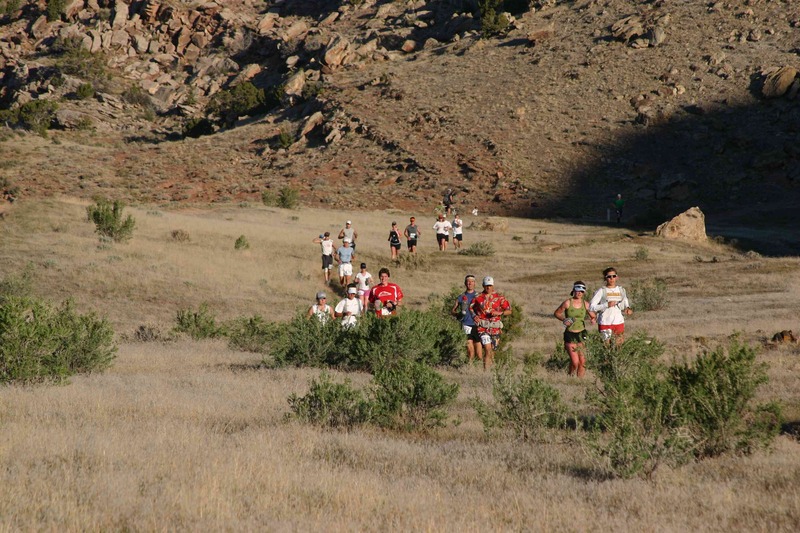 Challenge the racers with the terrain, not the lack of water. Happy training and best of luck on your next adventure!